What is the Electronics Recycling Coordination Clearinghouse (ERCC)? The ERCC is a forum for coordination and information exchange among the state agencies that are implementing electronics recycling laws. While the laws in the states vary in their structure and impact, there are many basic areas of overlap that can be implemented in a consistent manner. The ERCC will serve to identify and coordinate joint approaches to common challenges. Who are the members of the ERCC? The ERCC is divided into two basic types of membership. The first are the voting members, who are states that are implementing electronics recycling laws. Voting members are eligible to serve on the Executive Committee, which provides policy and administrative oversight of the ERCC. In addition to the voting members, the ERCC includes an affiliate, non-voting membership made of industry other organizations. The ERCC provides affiliate members a forum to efficiently and effectively meet with state regulators to discuss the various aspects of their legislation, and a single resource for important information needed to make timely decisions that affect issues in multiple states. What types of activities or projects does ERCC work on? The ERCC serves as a forum for discussion and coordinated responses between member States and other stakeholder members through monthly calls and other meetings. The ERCC also collects and maintains updated data on collection volumes, manufacturer contact information, and return share. Additionally, ERCC manages projects such as eCycleRegistration (combined online manufacturer registration forms); and joint purchasing of market research data; and state level consumer awareness surveys. What are the benefits of the ERCC? By offering a coordinated approach for states that are implementing state electronics recycling the ERCC minimizes the administrative process for states and the regulated community, creates a centralized location for receipt and processing of registration and reports, and maintains a formalized system that allows for the discussion issues related to the implementation of electronics recycling legislation. 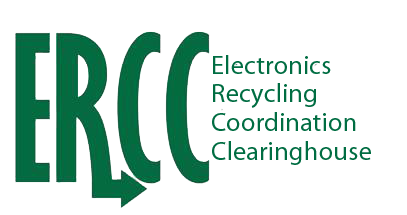 The ERCC is administered by the Northeast Recycling Council (NERC) and managed by the National Center for Electronics Recycling (NCER). For more information contact Jason Linnell, NCER at jlinnell@electronicsrecycling.org or Lynn Rubinstein, NERC at NERC at lynn@nerc.org.